YouTube is the casino, not the gambler in this model. But as a casino, YouTube would really like to attract gamblers willing to place larger bets. As far as I can tell, though, such gamblers aren’t coming. 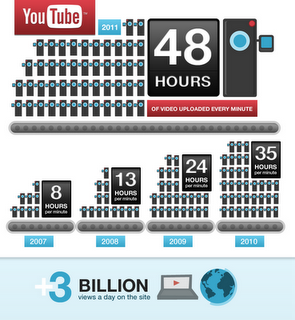 YouTube users are now watching more than 3 billion videos a day. That’s up 50 percent from the last year, which is also a huge leap, though the growth rate has declined a bit: Last year, views doubled from a billion a day to two billion in six months. 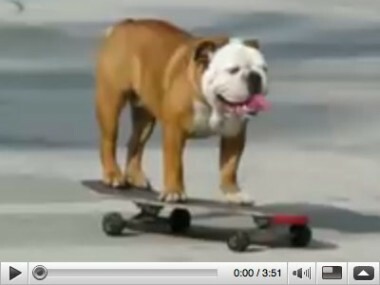 And here’s Tillman the dog, a 2007 video that showed up in Apple’s early iPhone commercials, and ended up becoming shorthand for the site’s user generated content.